I think this might have just made that update. If you start a new game you will be able to tell, because Queen's Park will have the stadium move set up on the Facilities page. U18 league in too - many thanks! Anything I can do to fix? Yeah, that seems to cause a problem in starting a game including the Scottish leagues. Let me know if you still have this problem. It is not something that we have seen in this build. As noted above, this occurred for me when I replaced some files in the "DB" folders to amend tournament names etc. It didn't occur for me using unchanged files straight from Steam. Assume it's an issue with the "licence fix" files I was using. I have tried to start a new league upon the release of the full version, all leagues are playable with the exception of the Scottish. 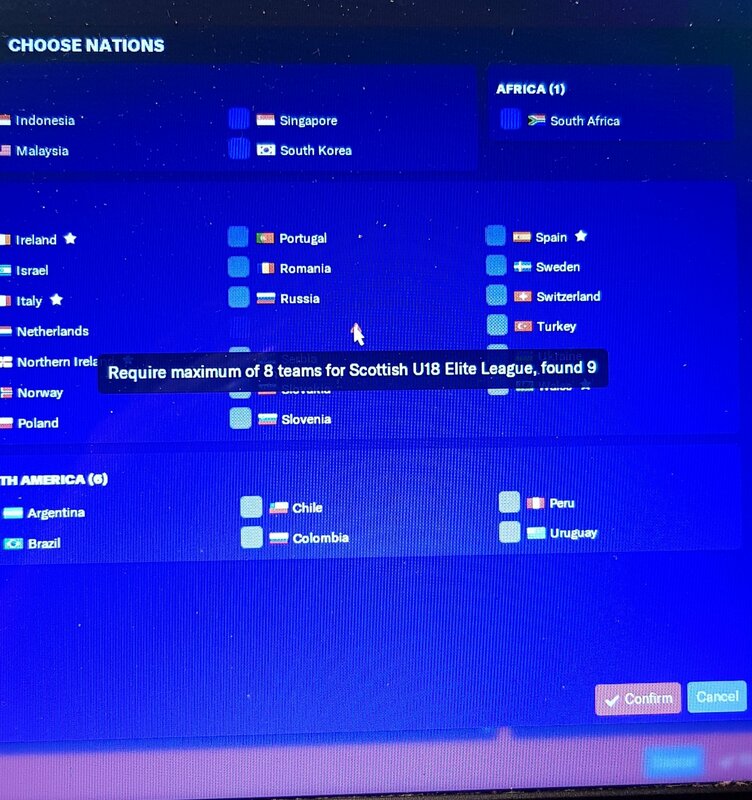 The select button for it is greyed out, It doesn't say 'Scotland' and there is a red triangle, when I hover on the triangle, it says the following 'require maximum of 8 teams for Scottish u18 elite league, found 9'. Is this a known issue? I had no issues loading the Scottish league during the Beta. 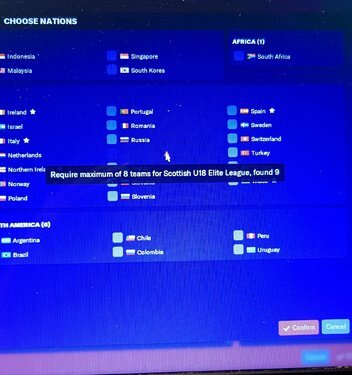 When setting up the leagues I could not load Scotland because of a error with the Scottish U18 Elite league needing 8 and found 9. I appreciate the addition of the proposed changes that I suggested and incorporation of the youth leagues (although they have a complex format I don't understand and the rules screen doesn't help much). I would still like to see the youth cup put in the game even if it is a generic format. Will this be added? betfred cup: its 2 yellows for a 1 game ban at ANY stage not 3. Scottish cup and irn bru cup: it should be no trialists allowed at ANY stage, in game they are. other for irn bru up, preliminary round shouldn't be played on the same night as the first round, also needs changed to Tuesday not Wednesday, also change to 745pm not 730pm, same for all league/cup ties! u18 league/advanced youth league: "cannot have more than 5 players aged over 19"...it should be there are no over age players allowed at all. spfl reserve cup and spfl reserve challenge cup: disciplinary rules need changed to the same as the irn bru cup ie 2 yellows for a 1 game ban etc. also the group stages for the spfl reserve cup seem to have been "drawn" mainly in alphabetical older! celtic's season ticket sales are far too low. I mean I can understand the underwhelment after Brendan Rodgers, but I've just taken over, and we've sold 31,785 and they expect it to go up to 36,900.
last season we sold out at over 50,000.
also having sold Dembele for 20 million at the last minute id expect us to have the vast majority of it to spend. Is this still occurring for both of you @kempy7 & @Bannside of Killowen? @ImDaWeasel - This looks like that issue that you had. Could you let us know what files you moved or removed? Thanks @GJS93. Investigating all of this now. Cheers for reporting this all to us. 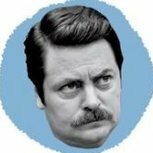 The season tickets issue is something that is driven off a number in the data. Could you report that here if it isn't already reported? 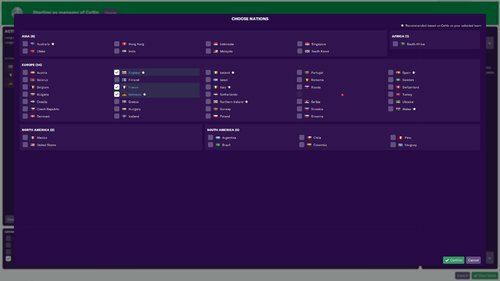 Not sure if this is the right place for it, but in my save I’ve noticed Celtic are involved in the UEFA Youth League (U19 Champions Cup) but Hamilton are not? This doesn’t seem accurate or am I misunderstanding something? Would the rule changes have immediate effect on a save game/from next season or require a new game to be started? Also, same question applies re the Celtic finances point noted? This appears to be a UI issue but I can't seem to reproduce what you are describing. Sorry for late answer, but what ever it was, this works now just fine. I've posted this in the transfers and scouting section but popping it in here aswell just incase this is the right place. Basically in game Scotland is running off English work permit system. 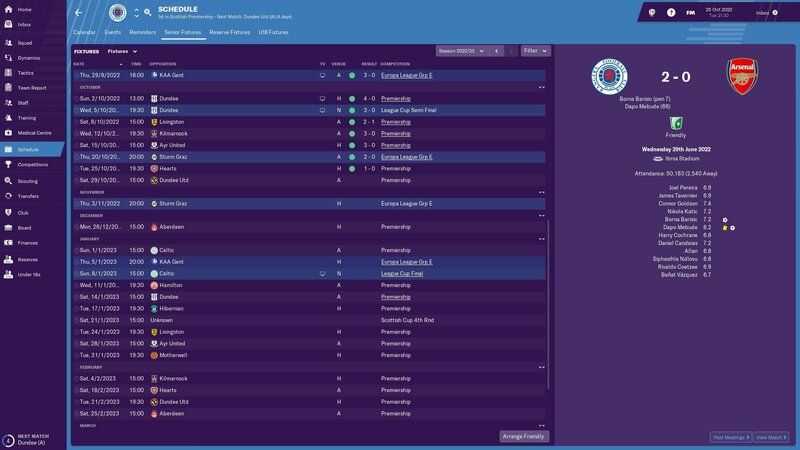 This is not correct to real life and Scotland still uses a pannel appeal system much like the old work permit system from fm18. This would base appeals on how the player would influence the top of the Scottish game and development. Age seems to be a huge factor here. It also appears that were running off a British transfer fee thus impossible to be in top % of fees paid early on. And isn't nessessarily the correct thing to do as you end up over paying. 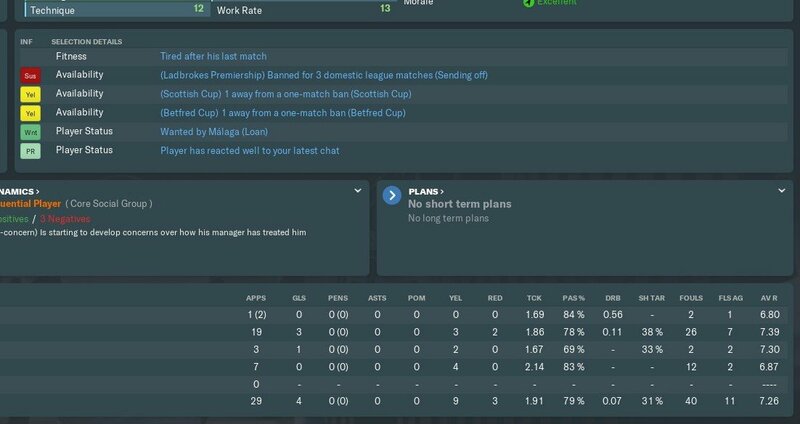 In my save I won league with rangers. McGregor retired found rajkovic and triggered his release clause. 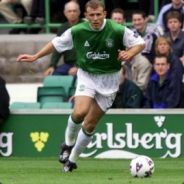 Celtic had 3 transfers worth more and was my highest spend. Was some big out goings from Celtic which may have effected the top 25% but would be confident that 3.3m would have met that. To add his contract was key player and he was coming in as highest earner at the club. The refusal of a work permit under such circumstances seems very odd. Under in game rules most non-eu players signed in recent years wouldn't get a work permit. Eboue at Celtic, pena, Herrera and Morelos at rangers just 4 examples. This is a major issue for Scottish league and potentially game breaking. As Aberdeen, I have reached Betfred Cup Final v St Johnstone and the attendance is c. 17500. Would expect at least 40000 at that game. Thanks mate for telling us that. I'll keep an eye out for sure. Would be no excuses if they couldn't fix this. This is being looked at now. Thanks @gothenburg83. We have got this to reproduce and it is being looked at. I think asking prices/values are a bit high again. Not entirely sure how it would be fixed but for instance Motherwell wouldn't be rejected 5m+ for Allan Campbell. Seems to be across all sides in Scotland, demanding outrageous fees. I know, on occasion, some clubs would do that. But transfer history in the SPFL show that players outside of Celtic and Rangers go rarely go for a lot of money. Campbell is quite a high potential player for Motherwell, however I can see what you mean. Have you got any other examples of players that you think have asking prices that are too high? Cheers. It could be due to a number of factors, but Campbell does appear to be a very decent quality player who is going to become even better. Certain Aberdeen players are similar..........McKenna: £9.5m; Shinnie: £9.25m, Lewis: £7.75m, Mackay-Steven: £6.5m; McGinn: £5m, Logan: £4.7m. This is at 8 Dec 2018. Shinnie, Lewis and GMS have signed new contracts. The Republic of Ireland clubs qualifying for the Challenge (Irn Bru) cup should be the top 2 teams in the league that don't qualify for Europe. So #4 & #5 or #5 &#6 (depending on who won the cup). I'm in August 2019 & the 1st & 2nd placed teams from 2018 League of Ireland season have been drawn in the competition rather than 5th & 6th. Aberdeen publicly said they wouldn't accept under 10m for McKenna in summer. Souttar is another I've seen hearts asking for in the region of 30m for first season but he often goes for 3-8m following summer which I'd call a fair asking price. Sorry if this is the wrong place but the forum is a bit different than when I last used it in 2012. Having a problem with what I'm guessing is the winter break in 2022/2023. Only 1 league fixture in November and December??? McKenna is the only one who I can see Aberdeen getting that sort of money for. I agree with everything you say in terms of how difficult this is to judge in the game given the feeling up here that clubs have been ripped off in the past, and that most Scottish clubs now don't need to accept the first offer of over £500k for any player. Is this something to do with the World Cup schedule, where the 2022 WC in Qatar is moved to winter so all players from the northern hemisphere don't melt!! Ah, good point, didn't even think of that. Looks like no winter break then in 2022. January will be fun! Try and buy average players from EFL 1 or 2 and they want ridiculous wages and transfer fees. Hence why i used the in-game editor these days. If they can't be bothered to fix minor issues, i'll just use the in-game editor for things like that. This is now under review. Cheers for raising this one. That is quite a lot of congestion for one month. We will investigate to see if there is anywhere else for those matches to be moved to. I'm unsure if this is specific to the Scottish leagues but before the start of a new season I get asked if I'd like to enter teams into the Reserve and Under 18s leagues for the coming season. On both occasions (1 before start of previous season, 1 before start of current season) I accepted. So far as I can tell, I only have a Reserve team. So I'm curious.......will I get an Under 18s team some time soon or is this in fact yet another bug? You should be fine to enter both. However, I would make a new save game just in case. 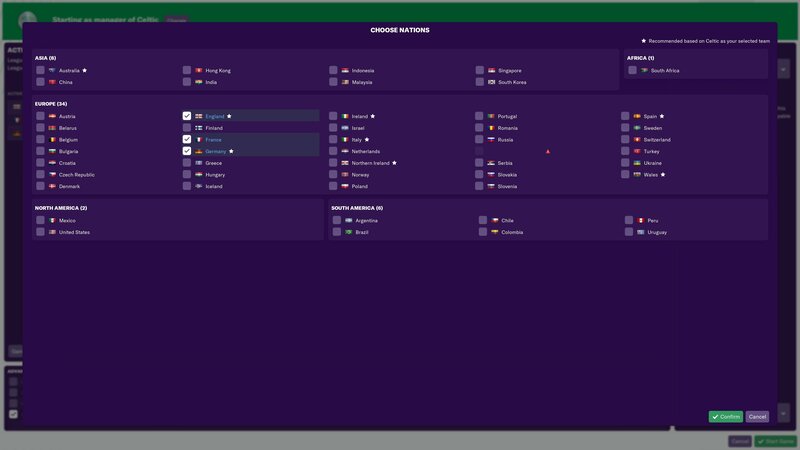 If you do encounter an issue with this when the new season begins, could you upload that newly created save game for us to look at? @Ed Hewison I think you've missed the point I'm trying to make. Before the start of a new season I get asked if I'd like to enter teams into the Reserve league and also the Under 18s league. 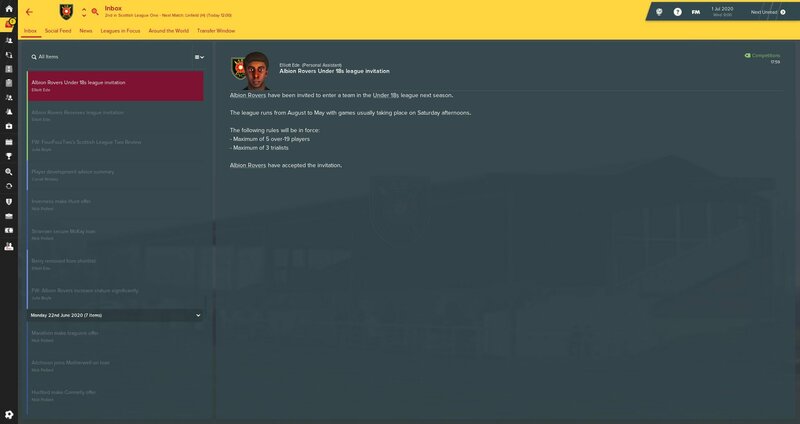 This is fine until you consider that, according to the game, Albion Rovers do not have a youth (under 18's) team let alone a tab on the sidebar to access said team from. So if it knows that I have no Under 18s team, why does it give me the option of entering one? After accepting the invitation to the Under 18s league nothing actually happens, no under 18s team is created at the club I am managing - Albion Rovers. 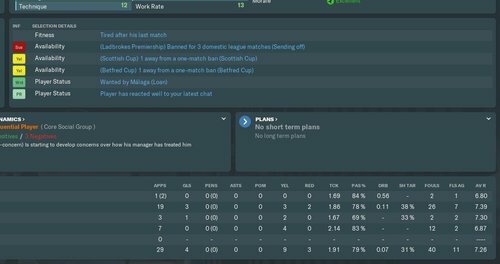 Don't know if this has been mentioned before, but one of my players got a third red card of the season so gets a three match ban. However, the game hasn't taken into account the second red card was rescinded, so that should only be a two match ban, surely? In fact I've just noticed that the second red card didn't disappear from the "Overall (club)" stat at the bottom. Before the start of a new season I get asked if I'd like to enter ﻿teams into the Reserve league and also the Under 18s league. 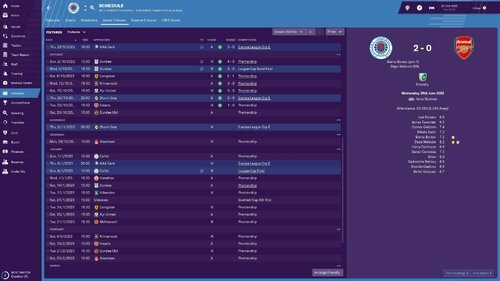 This is fine until you consider that, according to the game, Albion Rovers do not have a youth (under 18's) team let alone a tab on the sidebar to access said team from. So if it knows that I have no Under 18s team, why does it give me the option of entering one? Cheers @NicWar. I understand now. How many days will I need to continue your save before I reach the Inbox message asking you if you want to compete in those competition, or has that already happened? We would need a save game from just before the Inbox messages comes through. Hi @Smoo. Thanks for posting this issue. This does not sound right to me. Have you got a save game from after you had the 2nd red rescinded but also before the player got a 3rd red card?